Black sedan with red inside. It has front wheel drive and air suspensor front & rear and has 20 inch wheels. Imported spec BMW with Power windows, 20″ wheels and Rear wheel drive. Price reduced! GCC spec vehicle with 8 cylinder engine, white interior and automatic transmission. GCC spec vehicle with 8 cylinder engine, burgundy interior and automatic transmission. Black 2014 coupe for AED 142,000. Beige interior. It features xenon headlights, 18 inch wheels and ABS. Automatic BMW 650 with 18 inch wheels, fog lights, air conditioning, red interior, black exterior. 8 cylinder white 2013 sedan. White interior. Cruise control, 20 inch wheels and rear camera. Price: AED 109,000. GCC spec M6 from 2014 for AED 195,000 with a 8 cylinder engine. Grey/Silver sedan with black interior. It has full carbon fiber interior and power windows. GCC spec 2013 BMW with Power windows, 20″ wheels and Extendable Seats. Price reduced! GCC spec BMW 650 with CD player, 20″ wheels and Climate control. Price reduced! Imported spec, black 8 cylinder coupe with beige interior. It has rear camera and parking sensor front. BMW 640 with many features, including ABS, power windows, airbags (front and side). White with brown interior. Automatic BMW 650 with 20 inch wheels, power seats with memory, blind spot detection mirror, beige interior, black exterior. GCC spec BMW with Sport suspension, 20″ wheels and Rear wheel drive. Price reduced! GCC spec, black 8 cylinder coupe with beige interior. It has rear wheel drive and CD player. GCC spec BMW with Xenon headlights, 19″ wheels and Parking sensor front. Price reduced! GCC spec 640 from 2018 with a 6 cylinder engine. Grey/Silver SUV/Crossover with brown interior. It has rear camera and power locks. AED 152,000 for this Automatic BMW 640 with 16 inch wheels, navigation system, bluetooth system, red interior, white exterior. 6 cylinder grey/silver 2014 sedan. Brown interior. Tuner/radio, 20 inch wheels and climate control. Opportunity! 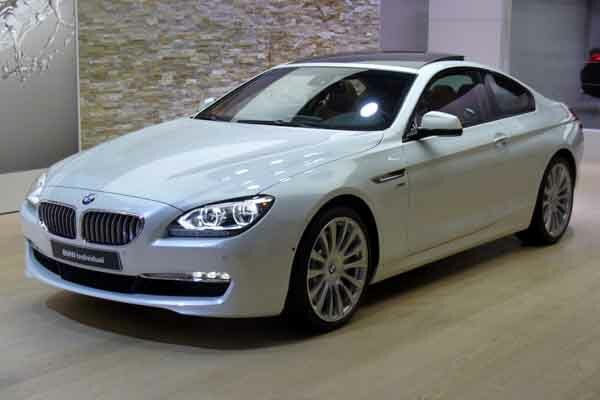 A 2013 white BMW 650 i Grancoupe Pearl Edition now available at a reduced price. GCC spec 2014 BMW with Tuner/radio, 20″ wheels and CD player. Price reduced! 8 cylinder black 2009 convertible. Beige interior. Air conditioning, 20 inch wheels and CD player. Automatic Imported spec BMW 650 with 19 inch wheels, leather seats, power seats with memory, black interior, white exterior. Saleem - Excellent cars for Dubai. I’ve had my 640 for some time now, I use it as a daily drive and have had no problems with it whatsoever. On top of that, it’s stunning to look at, and the power from the straight six is excellent. Pros: Engine options and looks great. Tariq - Pre-owned 650 cars are perfect for driving around the UAE, it’s got loads of power, packed with multiple options and looks stunning parked outside of Mercato mall. Its weight can be an issue. Pros: Options, looks and power. Khalid - I got my second-hand import BMW 645 from the States. Fantastic car looks good, and the build quality inside is like nothing else in its class. Would recommend anyone buy one. Pros: Interior quality and handling. Cons: Getting into the back. They come in a variety of shapes, whether you are looking for a convertible, coupe or sedan. The BMW 6 Series has you covered. Do you want a lot of power! Good, because over the years the BMW has been equipped with a V10, V8 and straight six cylinder motors! Resale in Dubai and around the UAE is high as everyone loves a BMW and if you are looking to buy used BMW 6 series in Dubai, UAE there are plenty to choose from. Newer models come with a pitch-perfect sports exhaust system. There is an incredible amount of luxury even in it’s most basic form, any BMW 6-series feels like driving around like royalty. Between 1976 and 1989, the first generation of these cars rolled off the production line such as the BMW 635CSi. Only available as a coupe during this time, after a few years the M6 was introduced which is powered by a modified M1 engine. Once production stopped, over a decade later the moniker was bought back, and the 6-series have lived on to this day in both the UAE, Export and Import Markets. Road Rivals: Mercedes-Benz CLS-Class, Audi A7 and Porsche Panamera. 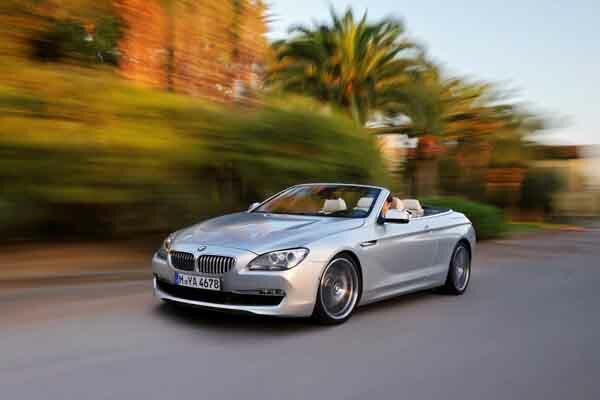 As the BMW 6-series cars returned after a brief hiatus with the standard coupe model and a convertible model. Standard models include Bi-Xenon headlights, Park distance control, power accessories, memory seats, climate control, cruise control, media inputs, Bluetooth, iDrive system, navigation, dynamic traction control and a whole load more. Additional features include active cruise control, upgraded navigation system, soft closing doors, premium sound system and a wider selection of paints plus a lot more. Over the years, lane departure assist, parking sensors, cameras were added as standard whereas keyless go and a heads up display were added to the optional list. During the first few years, three engines are used to power the 630ci, 645ci and 650i. An inline six 3.0-litre, a 4.4-litre V8 and a 4.8-litre V8 engine. As the years went by, engine displacements were changed, and the 645 badge was dropped leaving just two standard models; 630i and 650i with the same engines as before. All models are rear wheel drive. 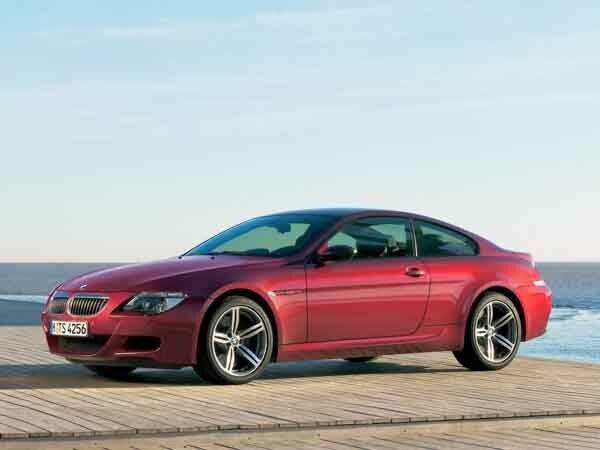 2006 saw the introduction of the M6, powered by a 5.0-litre V10 motor producing around 500 horsepower; it’s available in both coupe and convertible body types. These models have unique front and rear bumpers, higher intakes and quad exhaust tips. Interior features include all top trim options plus M letters scattered all over the place such as the steering wheel, door sills, gearstick and dashboard cluster. Sport seats are standard, and a heads-up display is an optional extra. 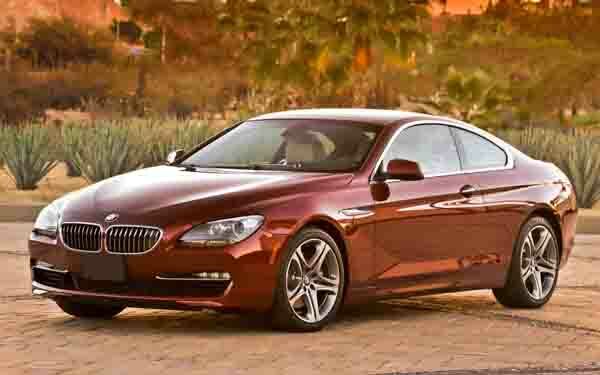 Looking for a pre-owned BMW 650i for sale in Dubai, UAE or any other 6-Series models? Prices start at AED 32,000. Entering it’s third generation, aside from the two previous body styles a Sedan and Gran Coupe model joined the lineup. Standard features remained similar with dynamic damper control and stability control now added to the mix. Additional options also remain similar with multi-function seats and carbon ceramic brakes on offer too. 650i Gran Coupe models and others share similarities to other 6-Series models such as the front and rear ends and dashboard. Seating is mostly available for four people with few models having an extra middle backseat. Boot capacity increases as doors the wheelbase to accommodate the extra set of doors. Specification and trim levels remain identical to the other body styles. M6 versions of the sedan feature 20-inch alloy rims and other unique pieces. With the 630i badge dropped, it has been replaced with 640i and retained its engine as did the 650i. Power is still sent to the rear wheels via a manual or automatic transmission with an option to upgrade to an all-wheel drive platform. The V10 motor powering the M6 is dropped with these models now utilising the 4.4-litre V8. 2012 vehicles have an updated iDrive system that can inform drivers of speed limits and various warning programs which deal with overtaking and identifying sign posts. Additional horsepower and auto stop-start function are standard on 650i models. 2015 models on onwards have a different face, with redesigned full LED headlights. 20-inch alloys are now standard, and coupe and sedan models are slightly reshaped. All models have hydraulic steering assistance and have the option to swap out rear-wheel drive of all-wheel drive. Twin Power Turbo technology is added to all models as is a sports exhaust system. A new Black Accent Package is available, which adds black accents to the grille, tailpipes and trims, 19-inch twin colour rims, two-tone leather upholstery and unique wood trim. M Sport Package adds 20-inch M wheels, steering wheel and styling cues. Front cooled seats, and soft closing doors are standard.